NEW YORK–(BUSINESS WIRE)–A global study released today by InterbrandHealth identifies the biopharma companies that are addressing healthcare professionals’ (HCPs), payers’, and policymakers’ needs. A commitment to brand is a promise to address healthcare challenges and meet the needs of these healthcare professionals. The study examines what value means to HCPs and illustrates the influence the corporate brand has in conveying that value. It reveals how leading companies are beginning to deliver on what matters to HCPs. Looking to the future, healthcare professionals desire a commitment to innovative healthcare solutions that go “beyond the pill.” As a result, leading biopharma companies are adapting their business models, increasing transparency, exploring nontraditional solutions in areas like digital therapies, and ramping up their corporate citizenship activities. “Biopharma is at a pivotal moment, and the time for change is now,” said Jane Parker, InterbrandHealth’s CEO. Best Pharma Brands ranks these leading companies by qualifying the industry’s definition of value through brand, then quantifying the corporate brand’s contribution to business performance. The ranking identifies the 10 most valuable biopharma brands. In total, these 10 brands represent approximately USD $129 billion in brand value. Pfizer and the Roche Group secure the #1 and #2 positions on the ranking. 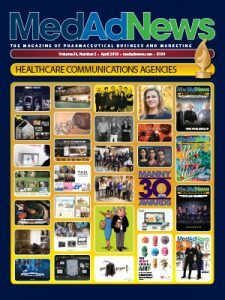 Best Pharma Brands also sets an important industry benchmark by highlighting the need for biopharma companies to change how they interact with the market and meet the needs of the healthcare community. Best Pharma Brands is powered by global research data, feedback from HCPs, and data-driven insights. The underlying methodology mirrors Interbrand’s Best Global Brands, which demonstrates that strong brands can withstand market volatility and are more likely to outperform key financial indices like the S&P 500. To be considered, biopharma brands must have a global presence, generate revenue from the sale of prescription medicines, report the ratio of revenues generated from sales of prescription medicines, possess a strong pipeline of potential future prescription medicines, have awareness among HCPs, and serve as the primary external-facing manufacturer brand. Please visit BestPharmaBrands.com to request a download of the report. To join the conversation on social media, use the hashtag #BestPharmaBrands. Best Pharma Brands is InterbrandHealth’s inaugural top 10 ranking that quantifies the corporate brand’s contribution to business performance in the biopharma industry. Best Pharma Brands is powered by Interbrand’s International Organization for Standardization (ISO)–certified Brand Valuation methodology, which quantifies the measurable financial impact that a company’s brand has on its overall business performance. Best Pharma Brands reflects HCPs’ current perceptions of brand value, measured through a global online survey. The report focuses on the prescription portion of a biopharma company’s total revenue. Other revenue sources, including consumer health, over-the-counter products, medical device sales, diagnostics, and animal health are excluded from the analysis. In addition to the ranking and supporting commentary, the report examines industry trends and provides data-driven insights on topics such as the impact of the corporate brand in an adoption decision, mergers and acquisitions, and corporate citizenship. The report clearly outlines how corporate brand, when leveraged, can generate significant value for a business. InterbrandHealth is the only full-service branding consultancy with an exclusive focus on health, and the global center of excellence for all health business at Interbrand. For more than 35 years, InterbrandHealth has combined strategy, creativity, and analytical rigor to help companies grow and achieve leadership positions in their industries. As the leader in brand valuation and the publisher of the annual Best Global Brands report, Interbrand has pioneered the idea that brands have a tangible value as business assets. As part of Interbrand and the Omnicom Group Inc. (NYSE:OMC), InterbrandHealth provides service and support in all key global markets. For more information, please visit us at InterbrandHealth.com and follow us on Twitter, LinkedIn, and Facebook.